It's that time of year when Motorola shows off the new generation of the Moto G, its most successful series. The big launch in Brazil was the first event of the new CEO, Sergio Buniac. At the unveiling, many were in for a big surprise as the new Moto G6 is quite different from its predecessors. 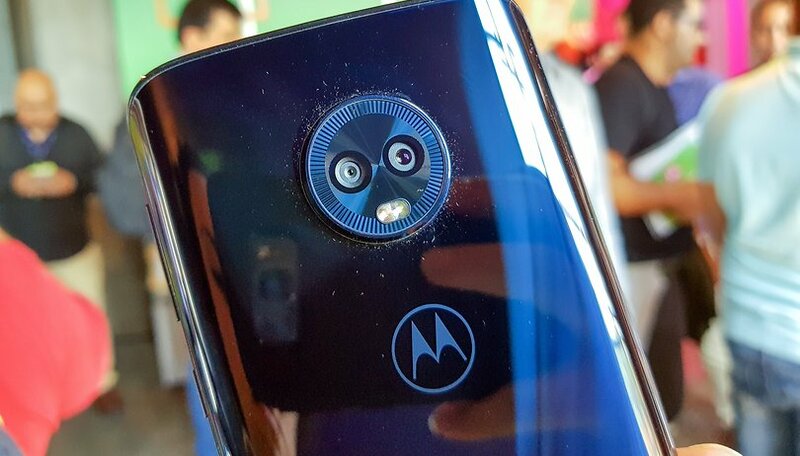 In this article, we'll explain what Motorola's goal might have been with the changes. Nowadays, mid-range devices have become powerful enough to satisfy the needs of 95 percent of smartphone users. As a result, manufacturers are starting to invest more in the mid-range, from the high to lower ends of it. Motorola is one of these brands which recognizes its value and has several lines that fit into the category: the Moto G, Moto X, Moto Z Play and even the Moto E series. Since the mid-range gets the job done and premium flagships are less sought after, it's necessary to improve the quality of this range as users expect more. Performance isn't just about satisfactory processing power, because you also need the camera, battery and other aspects to perform at the same level. The strategy isn't new. If you take a closer look, this is that same thing Asus has been doing. The Zenfone 5 from 2015 was the company's first serious venture into the world of smartphones, and it was a plastic device helped by a partnership with Intel. Fast forward to this year's Zenfone 5, it's a sleek device with a Snapdragon processor and thin bezels. As consumers have become more demanding, the company and the products have evolved to keep up. But there are other factors which can explain this shift in Motorola. Since it was bought by Lenovo, the company failed to meet its targets. The solution is a refresh of the offerings that keeps the spirit of the brand, but reaches a new customer who can spend a bit more. The company is looking not just to markets where it is already a top player like Brazil, but also Europe, the US and Canada, with the Moto G series. The company struggled with Moto Z sales, and may have realized that a war with Samsung and Apple over the more premium market is too costly for now. So, the company may try to conquer these markets with something else in mind. It could be possible to steal the corner of the market currently dominated by Samsung's A and J series. It's a tough market, but cheaper and easier than also trying to take on Apple and other brands competing over the high-end space. From the opinions I've been hearing, feedback on the changes have been more positive than negative. People are reacting positively to the new series, and are particularly interested in the Moto G6 Plus. Reviews have already been showing that the camera is better than expected, and we'll be trying it in our office soon to verify this. Nevertheless, only the market will decide whether Motorola's bet was wise or not. In the end, competition and the resulting evolution and improvements can only help consumers. What do you think of the new Moto G6? Do you like the changes? Let us know in the comments! I am extremely discouraged by the shift to the glass back and increasing glass design (in most brands). Just don't see the point of it and bought a G5 when the G6 glass was confirmed. I thought the original Z Force design was a much better direction. Is glass what most consumers want? This article has ZERO useful information. How about some details on those "changes". Its about the series brand as a whole... not just a single phone. I was a Motorola fan for many years. But since the Lenovo takeover I've lost all interest! I really enjoyed the 2013 motoX, then the original turbo, turbo2 & the first zforce. After they released the z2force that was the end. It was time to move on. The downgraded battery then the real kicker, no OIS with a flagship phone. I guess I gave up on their very average camera's! You should really try out the new model phones. I owned many of of older models made by the original Motorola Company and they were my favorite however, recently i had my hands on the the G5s Plus and that phone is REALLY nice! True its owned by Lenovo, and you do get some wild advertising. Though it beats the wacky case designs that Google was pushing when it owned Motorola.. but the phones all run near stock android and Motorola has maintained imho the best user interface of all phones on the market.